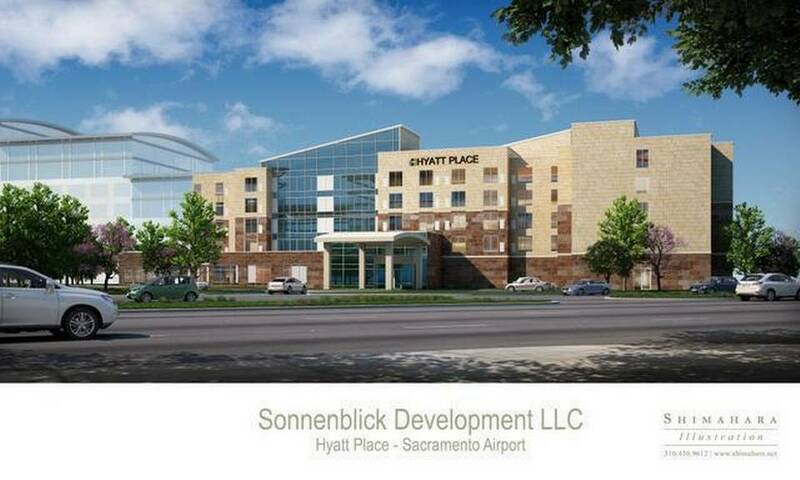 SACRAMENTO (CBS13) – Work will go forward on a hotel at the Sacramento International Airport after Sacramento County supervisors approved the project today. Sonnenblick Development LLC and the Sacramento County Dept. of Airports will build a 5-story, 135 room Hyatt Place hotel next the parking garage at the airport, county officials announced on Friday. “Our customers have requested the convenience of an onsite hotel for many years and we are now at a point where we are ready to move forward,” said Director of Airports John Wheat said in a statement. Officials have been looking to build a hotel at the airport since the previous airport was demolished in 2008 to make room Terminal B. Construction could begin as early as June 2015, and the hotel would open in 2017, airport officials say. Sonnenblick is reportedly investing $23 million to build the hotel.